Monday: Today I dear friend of mine went in for some surgery. She was very nervous about the operation, but she soldiered on and I received a text message later in the day that everything had gone well. I am grateful for the skill of the surgeons and her bravery. I am sure life will be a whole lot better with her new knee in place. Tuesday: Today I knew there was just one thing I wanted to do when I got home – make cookies. I was grateful to pad softly around the kitchen after dinner and bake up some sweet treats for Chris to take to work. I am learning the rhythm of this new life and how I will fill my time when I am at home. Wednesday: Today was the first of two days of important meetings at work. I was grateful for the help of my colleagues to make sure everything went smoothly. The best part of the day though was getting home and having a nap with Chris who then bundled me into the car, bought me sushi for dinner and settled me in bed with an episode of Anthony Bourdain to watch. Thursday: Today was day two of meetings. I was grateful that the big boss came up to me at the end of the day and offered his thanks for my assistance and told me that I could have a few hours off one day whenever I wanted. Have to make good use of that! Then I squirrelled myself away in the kitchen and started testing a recipe that I can’t wait to share with you all very soon. 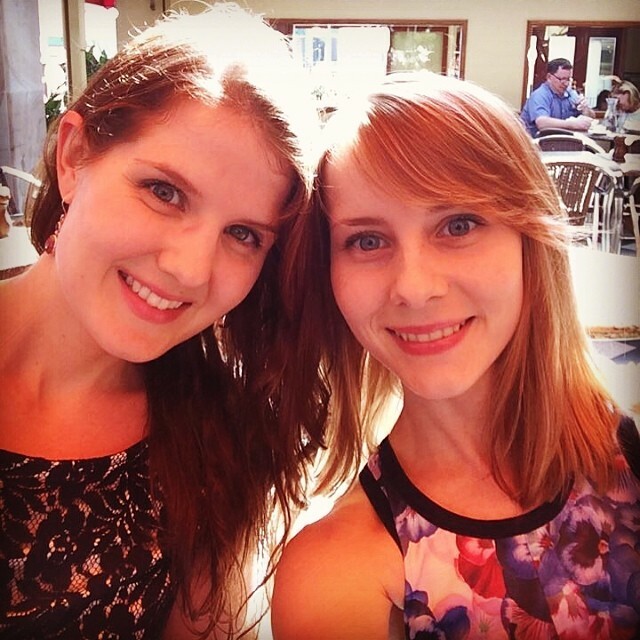 Friday: Today I got to spend a girl’s night with Jess! After an awesome session at the gym we enjoyed sushi for dinner, then Jess got busy with a baking job she had on while we watched some of our favourite classic teen movies including ‘Sugar & Spice‘, which is so terrible that it’s good… I was grateful to be able to spend the whole night chatting to Jess and just catching on our lives at the moment. 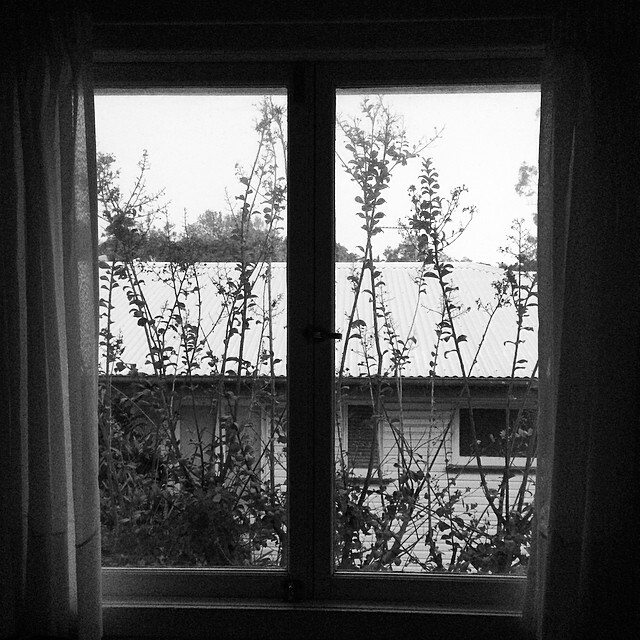 I was also grateful to sleep over Jess’s house, her guest bedroom is like a hotel room – so pretty and comfortable! Saturday: Today was Jess’s birthday! We started out the day with a long walk and then a quick breakfast and then we were off to have lunch at La Dolce Vita (one of our favourites) with Mum, our aunty and grandmother before we all headed to the performing arts centre to watch Melinda Schneider in a Doris Day tribute show. Jess has loved Doris Day since we were little and this was an awesome way to celebrate her birthday! To cap the day off she even got to meet Melinda and have her photo taken. I am grateful to have an interesting, kind, and amazing sister who is also my friend and today was a great way to celebrate her. 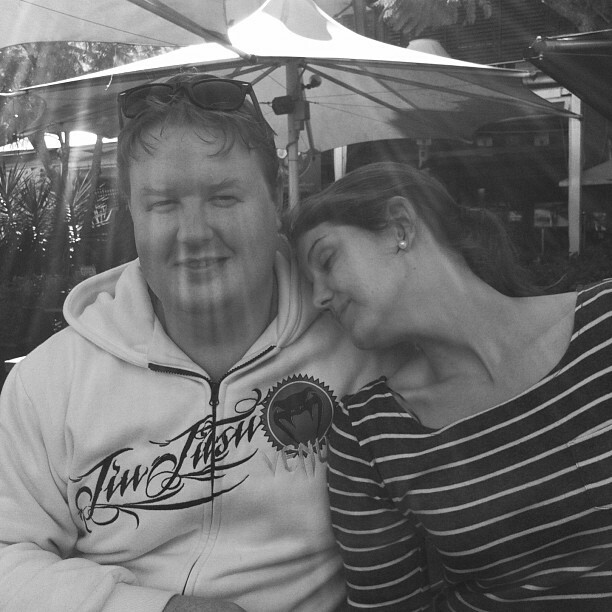 Sunday: Today Jess and I started the day with another long walk because we knew an afternoon of feasting was ahead. I then went home to work on Jess’s birthday cake. This was definitely a diet killer! But it’s all about balance and today the balance tipped in favour of five layers of brownies and cookie dough! I was grateful that so many people turned out to celebrate Jess’s birthday. Tonight I am curled up in bed with yet more recipe books and visions of salad dancing through my head. As I said, it’s all about balance. We celebrated my little sister’s birthday! 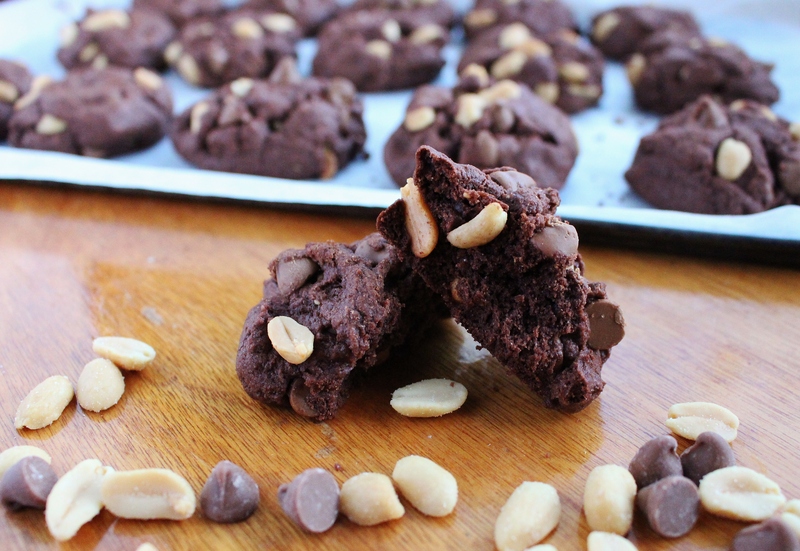 The week ahead is going to bring some great veggie filled meals, and maybe a cookie or two. 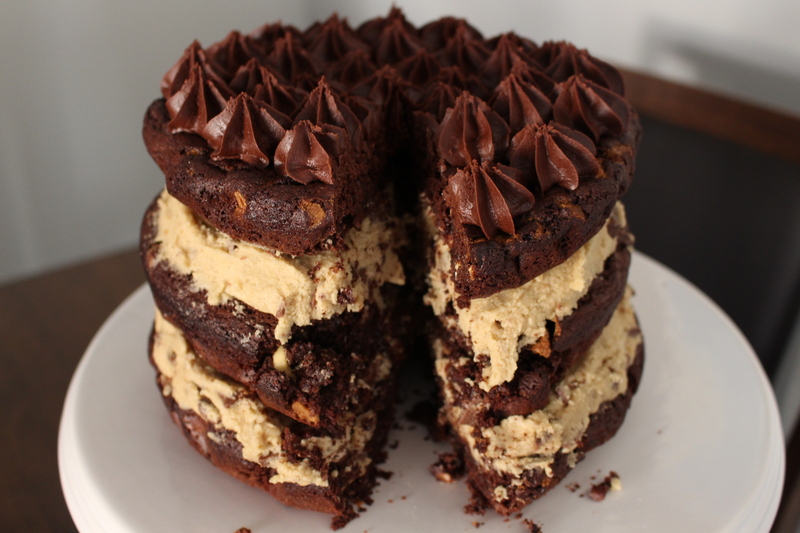 Keep an eye out for Jess’s birthday cake recipe “The Chocolate Brownie Cookie Dough Cake” coming on Tuesday (p.s. it’s gluten free!). Tell me dear readers, what has made you grateful lately? All of my life I have wanted to do great things. I have felt that somehow my life was only worth measuring by impressive feats and grand achievements. I felt that I needed to ‘make something’ of myself in order to prove that I was worth being here, worth the love and support that my family and friends have always given me. I had to do great things: be famous, be out there, be a leader, be an overachiever. In high school I was ‘the smart girl’. I achieved academically and I was lucky because I love to learn. As my sister says “studying is what we know how to do.” I was doing great things in my little arena, my little community of students, teachers, and parents. When I went to university that community grew exponentially. I struggled. I was now average in a group of people who excelled. I went through some difficult adjustments during those university years. I was lost when I wasn’t the one who was being held up for doing great things. Who was I if I wasn’t doing great things to the applause of the people I looked up to? Was I ever going to achieve great things again? Those were difficult years and it was only through the love and support and intervention of my friends and family that I survived. When I left university I found work that I loved. I was helping people, making a difference in their lives, and that made a difference in mine. I was confident again. I was doing something great for the world. I had adventures overseas. I had stories that were worth telling. I felt like I was doing great things. Last year I lost the job that I loved. I was adrift. I am still adrift. Who am I if I am not doing great things for people? Who am I if I am not making a difference to the world? Who am I now that I sit in a cubicle from 8 til 5? I am not doing great things if you measure my life against the great people of the world. I am living a small, simple, and mostly happy life. I struggle with my new reality sometimes. I want to stand up and say things and be counted, but who am I to make a fuss, I am not doing great things. When I saw this inspiration on Clementine Daily it was like a message from the universe. A message to relax, to see my life as valuable and worthy even without the ‘great things’ that I feel I should be doing instead of what my life is now; a message to understand that doing small things with great love, great commitment, great passion, is just as important. I feel this is the key to a settled heart. To live my life doing small things in a great way. I may not be winning an Oscar, but I can win a smile from my sister with a well-timed joke; I may not have my own cooking show, but I can bake something to warm the hearts of my workmates; I may not be on the New York Times Bestseller list (yet, I’m still holding out for that one) but I can write here, share my passion for words and storytelling with the world on my little space here on the web. I will do small things in a great way. Because these are the things that touch the hearts of the people you love the most. And that is a great thing. Do you mind if we have some real talk today? Some ‘what’s going in your head today?’ talk. 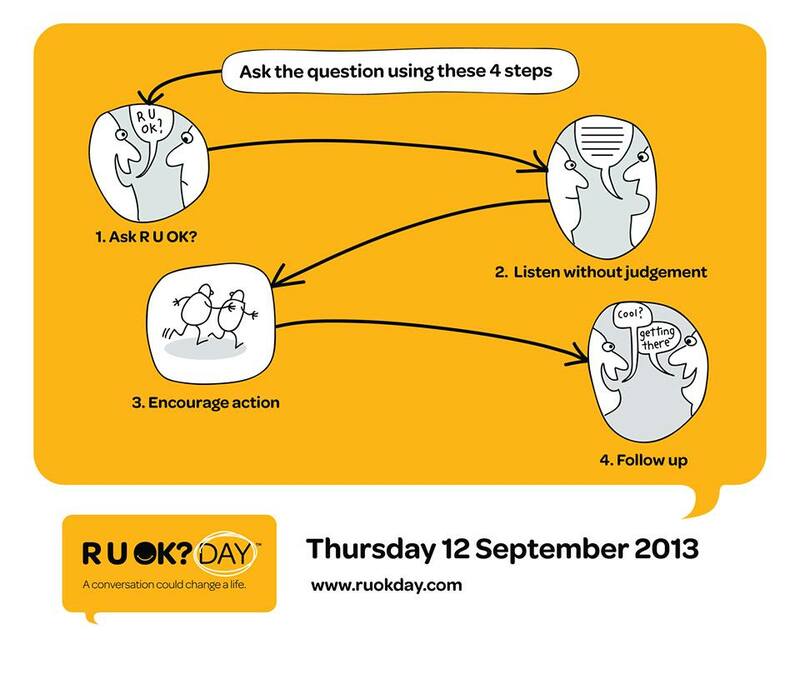 Today, September 12, is R U OK? Day. The R U OK? Foundation was established to help encourage real conversations between family and friends about mental health. Countless times per day we answer the question ‘How are you?’, but does anyone really give an authentic answer, and similarly, do any of us asking the question really listen after we have asked the question? Today I have a question for all of my wonderful readers, but first let me tell you a little story. I have spoken before about my own struggles with mild depression and anxiety, and how much of this battle of the mind played out in the theatre of my body. I have mistreated myself and eventually found my way back to true nourishment and a healthy relationship between body and mind. I’m not perfect but I’m learning and moving forward every day. If, today someone asked me R U OK? I would genuinely have to answer ‘Yes’. ‘Yes…but’. Yes, but for some reason I am so happy in my life that I am unhappy. I am happy that after a tumultuous start to the year with so many worries about my job and future my working life seems to be back on track and I am making long term plans for my career and where I want to be in ten years time. I am happy that I have great relationships with my family members and even though I was afraid that I would lose the special connection I have with my sister we seem to have worked out a new more adult relationship and lost none of the closeness. I am so happy that I am surrounded by passionate amazing men and women that I am fortunate enough to call my friends, and even though sometimes I am not the best person to stay in contact with, when we do spend time together it is diamond-grade quality. And every single day I am so happy because I get to see the face of the man I love. I am so happy that I have found the one who is twin and mirror of myself. Someone who shares my love of science and satire and mostly melted chocolate ice cream spooned out of the container for a Wednesday midnight snack. Someone who sweetly puts on my favourite shows and tucks me up into bed on the days when I am not feeling quite right. Chris makes me so happy. And I am so unhappy because I am afraid of the time when I am no longer happy. I am afraid that somehow I am going to upset this beautiful life and the house of cards is going to tumble down, shattering and burning and breaking on the way. I am afraid that I will do something wrong, upset someone, neglect someone, damage someone, and take away their happiness and my own. I just want to create a better corner of the world, make everyday count for the ones I love, and show gratitude for the blessings I have been given. Have you ever been that happy that you question the infinite nature of our capacity for joy? Can a human heart be this happy forever? Do I deserve to be this happy and let go of the moorings of worry and panic and just float out into the big blue warm sea of happiness and gratitude and a life nourished in so many ways? On this R U OK? Day I am making a vow to myself, and to all the blessings in my life that give me happiness. I don’t want to be worried about being so happy. I don’t want to be emotionally draining on those around me because I live on a teetering scale of truly happy to worried-about-being-so-happy. So, my vow today is to cast off the lines of worry, and just live in this moment of happiness. My vow is to recapture the joie de vivre of being present in this moment, in this time. I can’t help what may happen tomorrow – good or bad. But I can choose to make this moment, this day, the happiest that I can. I am okay. I am more than okay. I am happy and blessed and ready for this moment and the next. My question to you readers is R U OK? Really? Have you asked those around you today? Have you truly listened? I don’t think a day goes by where I don’t dance at least once. Perhaps dancing isn’t the right word for it. Dancing connotes some sort of grace and elegance in the movement, so I think we can best describe what happens to my body as ‘dance-like’ – anyway- the point is every day I find something causes me to break out into an impromptu grapevine, twist, booty-shake, or vogue (a Madonna video clip is always great fora Monday). Most of the time my dancing is caused by something scrumptious to eat – a new cookie recipe causes me to break it down in the kitchen, or a tester crumb of some new cheddar will have me screwing up my eyes and shoulder-shimmying in the aisles of the supermarket. I have been known to get home from a great workout, put on some Lady Gaga (or Ke$ha – shh!!) and get sassy while I’m riding the endorphin high. I’ve danced when I discovered a favourite author has a new book coming out, or I get a text message from someone I love, or sometimes just because it’s the weekend in four days. There doesn’t have to be an amazing earth-shaking reason to get up out of your chair and move to the tune in your head. There just has to be something that brings you happiness, more happiness than a mere smile can convey. Dance, even Nietzsche said so. We need to seek out the threads of happiness in those little moments, and then just let ourselves go. Let the joy float up and touch every part of your soul until that mirror ball drops down from the kitchen ceiling and you find yourself on the set of Saturday Night Fever (in your mind of course). Then let it rock. Find a reason to dance everyday. Dance for the joy of the moment. Dance in gratitude for today, yesterday, and the promise of a tomorrow. 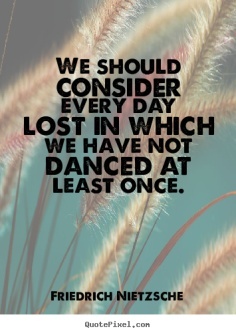 Dear reader, what made you dance today? For me, meeting my long run goal for this week and ticking some university tasks off my list!